SUBOXONE is a film indicated for the treatment of opiate dependence. It contains buprenorphine and naloxone. Buprenorphine has unique qualities that make it an effective and safe addition to other pharmacotherapies used to treat opiate addiction. By combining buprenorphine with naloxone, it increases its safety and decreases the likelihood of diversion and misuse. The primary side effects of Suboxone (buprenorphine with naloxone) are similar to that of other mu agonists opiates. For example: constipation, pupillary dilation, nausea and vomiting, but the intensity of effects may be less than that produced by full agonist opiates. Typical signs and symptoms of the opiate withdrawal include lacrimation, anorexia, diarrhea, rhinorrhea, piloerection, yawning, cramps and aches, pupillary dilation, mild fever, sweating and insomnia. Not all of these signs and symptoms are necessarily present in any single individual experiencing opiate withdrawal. Opiate withdrawal, may also be characterized by marked distress and that can include opiate craving and opiate seeking behaviors, which is frequently associated with relapse. In an individual who is otherwise in good general health, i.e. with no history of significant cardiovascular disease, opiate withdrawal is not life threatening. Patients with cardiovascular disease and/or other severe medical conditions need comanagement involving the appropriate specialist, as well as consultation with an addiction specialist. The preponderance of the evidence suggests that long-period Suboxone detox is the most effective opiate withdrawal treatment. Suboxone is prescribed for opiate addicts to make the detoxification process safe and effective. Buprenorphine, the main active ingredient in Suboxone, acts on the same brain structures and processes as addictive opioids, but with protective and normalizing effects. This enables Suboxone to reverse the effects of opiate withdrawal but without intoxicating the patient. One of the main benefits of using Suboxone for opiates detox is that it has a small potential for addiction. Even when administered to a high-risk population, 100% of whom have histories of opiate addiction, very few develop the uncontrollable compulsion to take buprenorphine. 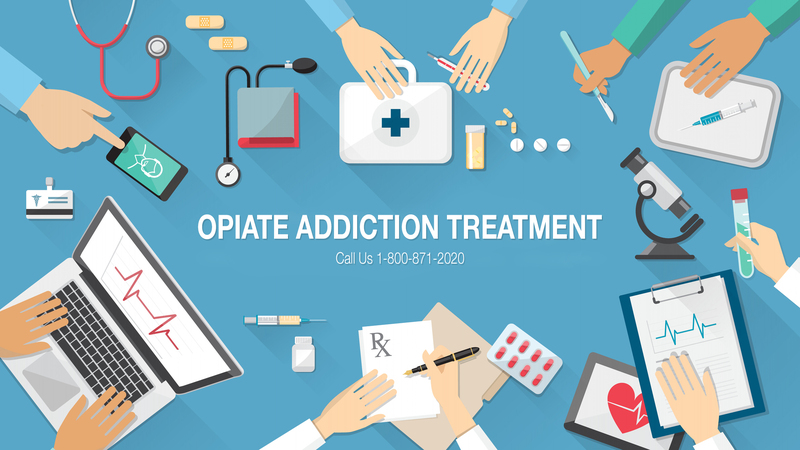 Opiates dependency means an opiate user is susceptible to opiate withdrawal symptoms whenever he or she stops taking opiates. On the other hand, opiates addiction is defined by behavior – compulsively seeking or using opiates despite harmful consequences. Opiate withdrawal leaves many opiate addicts feeling trapped with limited options. From a clinical standpoint, opiate withdrawal is the most powerful factor driving both dependency and addictive behaviors. Opiates are the most addictive drugs in human history. Consequently, addicts stop at almost nothing to obtain more and more opiates, even if that means damaging relationships, losing a job, sharing a needle or going to jail. Many opiate addicts make several attempts to quit on their own before they seek professional help. Most of those attempts produce unsuccessful outcomes because most opiate addicts are simply unable to follow the strict guidelines necessary to detox. Buprenorphine comes in three forms: a tablet, film and transdermal patch. Two versions are taken sublingually (under the tongue) and the third (transdermal) is placed on the skin. The reason why buprenorphine is administered sublingually is because stomach enzymes destroy buprenorphine. Therefore, if it were swallowed, before it dissolved, the buprenorphine would never reach the blood stream in sufficient amounts to be effective. Buprenorphine patients begin detox treatment under the supervision of a qualified doctor. For the first dose, a patient must be in a moderate state of opiate withdrawal. Patients must work with their doctor to reach a dose of buprenorphine that works for them. It is important that patients work with their doctor to determine when the time is right to lower the dose, taking care to minimize discomfort. Patients should discuss any concerns they have with their doctor. Some drug users will abuse just about any medication, but buprenorphine abusers typically switch back to their “drug of choice” because buprenorphine intoxication is much less than with regular opioids. The fact that buprenorphine blocks other opiates is another significant reason why opiate addicts tend not to abuse buprenorphine. At the end of the day, the goal of detox and treatment is to overcome opiate addiction. Yet, Suboxone is itself an opioid and care should be taken to avoid cross-addiction and Suboxone dependence. For more information on – What is the best way to get off suboxone?